15C route between Chorley and Bolton? 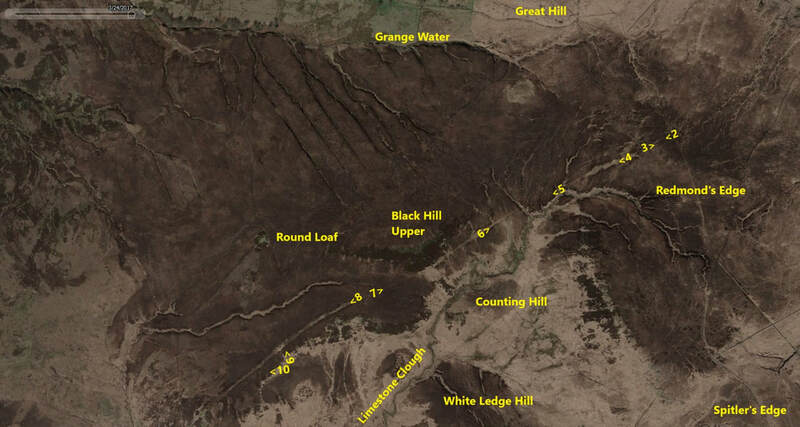 In the middle of Anglezarke Moor, there is a long shallow ditch about 200m to the south of Round Loaf. There is a clear line some 600m long visible, and other sections that run for a total length of 1600m. Devil’s Ditch is scheduled as a Neolithic boundary. The end of Devil’s Ditch seems to run up to, but not beyond, the modern day boundary between Bolton and Blackburn, that on Winter Hill is called Deans Dyke and is said to be at least 1100 years old. Fig1: Google Earth image of Devil's Ditch showing location and direction of the following photographs along the course of Devil's Ditch. Whilst walking along Redmonds Edge, I came to the point where Devils Ditch appears to cross the footpath and run a further 20m east to the boundary line. This is just visible in Fig 1 above (top right). The ditch shows as a lighter yellow grass against the darker heather background along its full length. The photo Fig2 was taken at the eastern end of Devil's Ditch looking west where there is a slight change of direction around Black Hill. There is no running water in this section of the ditch but it does appear to be slightly lower than the surrounding land. The 1844 OS map suggest that there used to be a mound at the point where Devil's Ditch joins the boundary ditch between Bolton/Blackburn. The ground is very flat and there was no stones or mounds visible except for the area shown in Fig3 where the ditch terminates (however, I could have been 10m west of the point). ​I then began a walk of the full length to see if I could find traces of the ditch where it is not clear on the lidar or aerial images. Leaving the footpath on a westerly direction the ditchline opens up to approximately 10m wide and the ground is softer and holds more water than the slightly higher ground either side. It is easier to walk on the darker heather. Fig4 shows the westerly view of this section. A stream cuts across the end of this section that take some effort to cross. 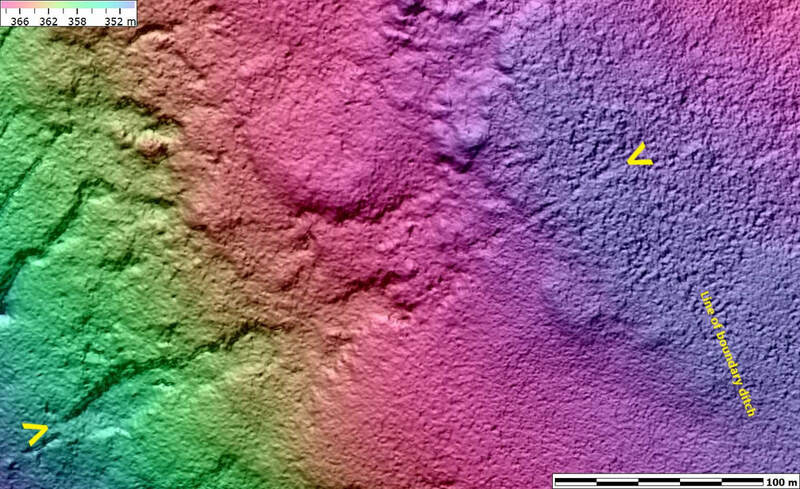 In the next section, the line of the ditch is hardly visible but a faint depression does show on the lidar analysis. It is also cut by several drainage ditches. Fig5 shows evidence of this line. It is less than a meter wide, but if you stand astride it an look east, then west, it is in direct alignment with the ditch either side. 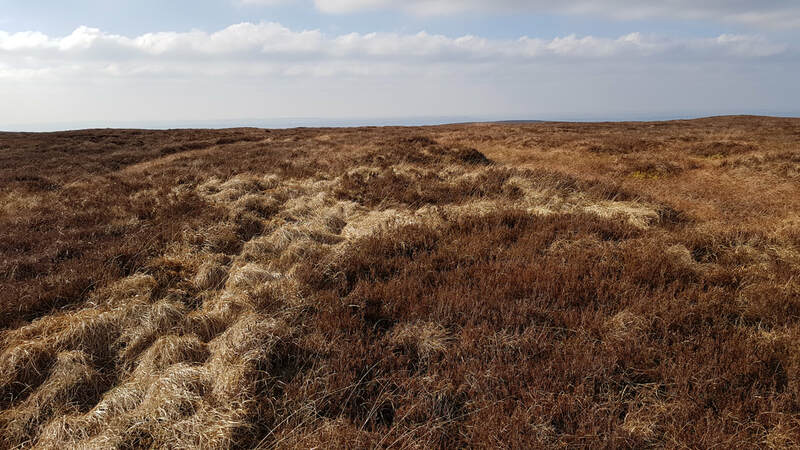 As you approach the southern bank of Upper Black Hill, the ditch opens out again to be about 5m wide, and you can clearly see that the ditch area is lower than the surrounding heather. Add to that that the heather is very short at this time of year and the yellow grass is a tall, so it is possible that the flat base of the ditch is 0.5m lower than the surrounding banks. As you leave Black Hill, with Round Loaf now visible, it is easy to loose track of the ditch (I ended up too far north heading to Round Loaf) as it is very faint and the main section or the ditch south of Round Loaf is out of site. The ditch must be very shallow on this section. As you enter the main 700m section south of Round Loaf, the banks of the ditch rise to a full 1m height on both sides. The ditch shows clearly as it runs past Round Loaf some 200m to the north. Finally, for the last 200m of Devil's Ditch at the westerly end there is a small stream (0.5m wide) that runs down to eventually join Limestone Brook. Fig11: Elevation image with x8 vertical exaggeration. Devil's ditch running between the 2 chevrons. 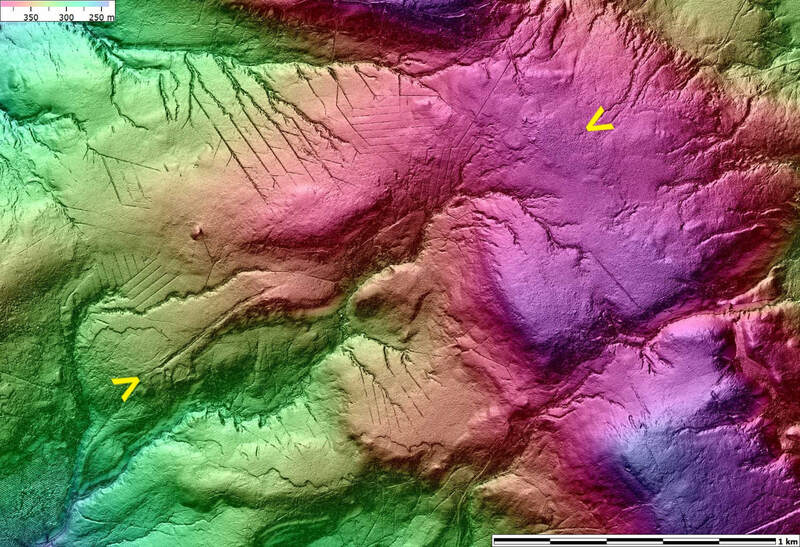 Fig12: 0.5m lidar elevation image with x8 vertical exaggeration showing eastern end of Devil's Ditch. 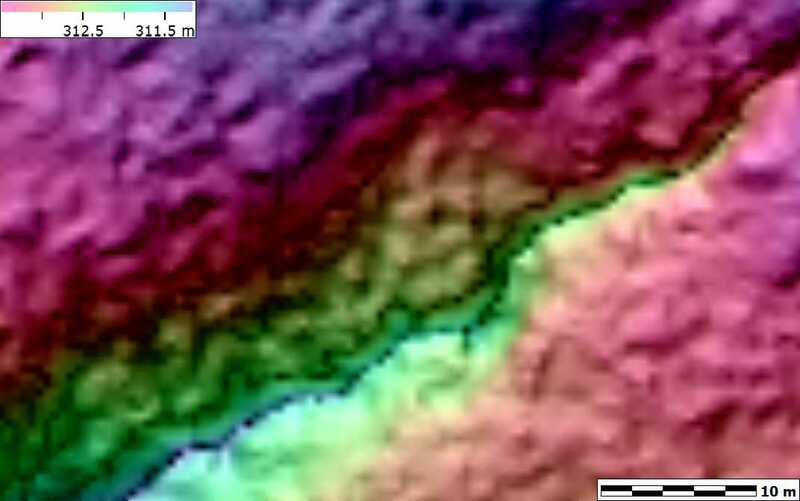 Fig13: 0.5m lidar elevation image showing the both banks (red and purple 313m) above the floor of Devil's Ditch (green 312m). Have you got any images or comments on Devil's Ditch?